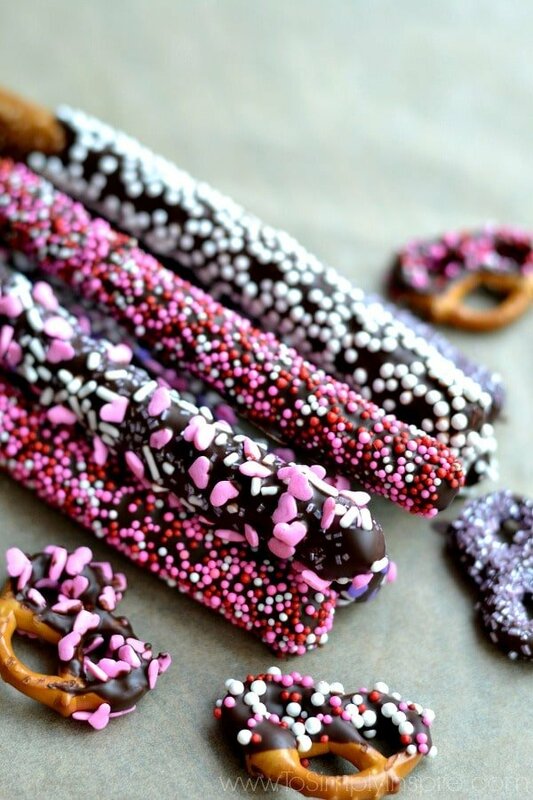 Chocolate Covered Pretzels are one of the easiest and most fun little sweet and salty treats to make for any special occasion. 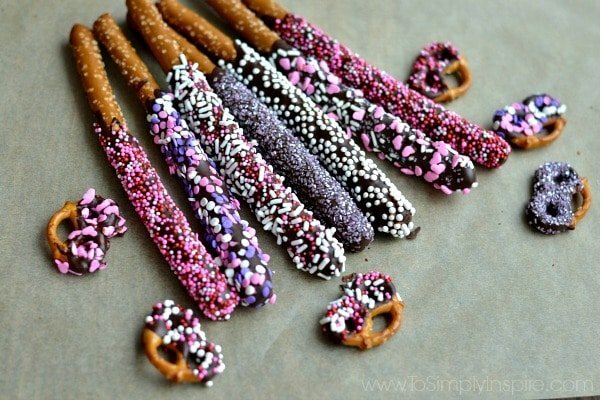 If you need something to make that is so incredibly easy for a Valentine’s Party, or any other occasion for that matter, Chocolate Covered Pretzels are your answer. 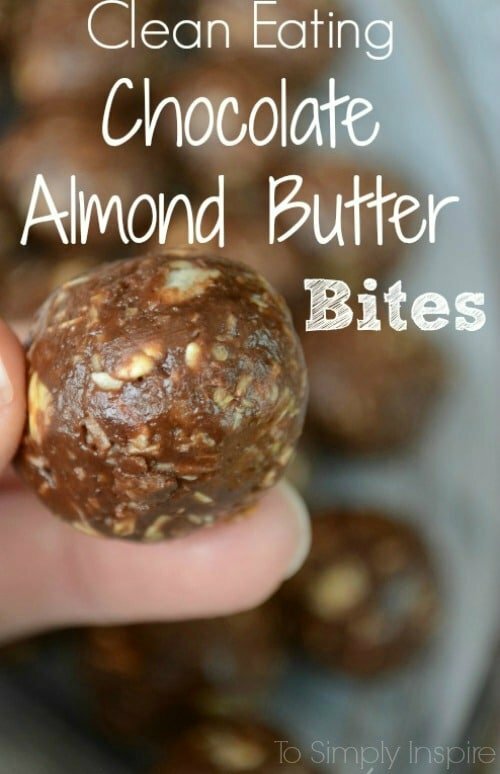 I mean, who doesn’t like a little chocolatey yumminess combined with that little salty crunch. 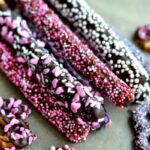 With the plethora of sprinkles for any occasion and season, you can make these treats for Christmas, Thanksgiving, St. Patrick’s Day, 4th of July and Halloween as well. 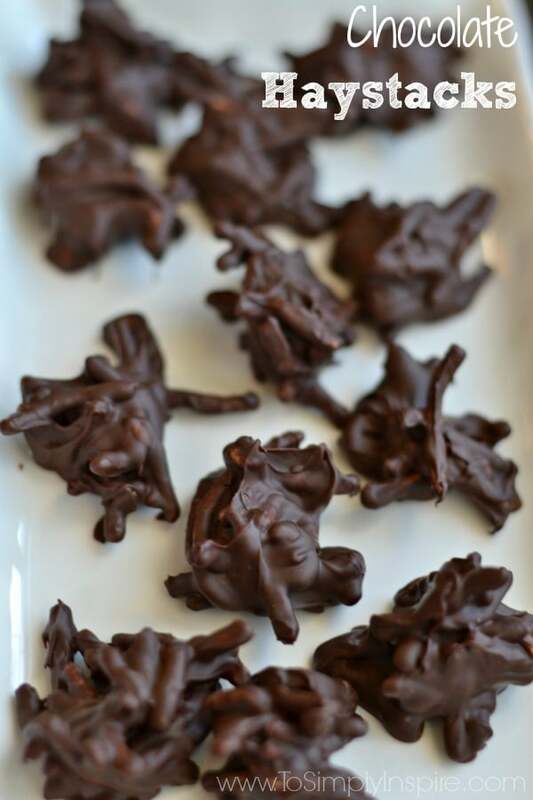 Plus the fact that these are a great no-bake option that kids love to help make. We made pretzel rods and also gluten free twists for me too. Melt the chocolates in double boiler or in the microwave according to package directions until completely melted and smooth. Allow the excess chocolate to drip off the pretzels by gently shaking and twisting the pretzel over the bowl to avoid the chocolate pooling under the pretzel or into the toppings. Immediately cover chocolate with desired toppings and place on parchment paper. Store in an air tight container for several days. 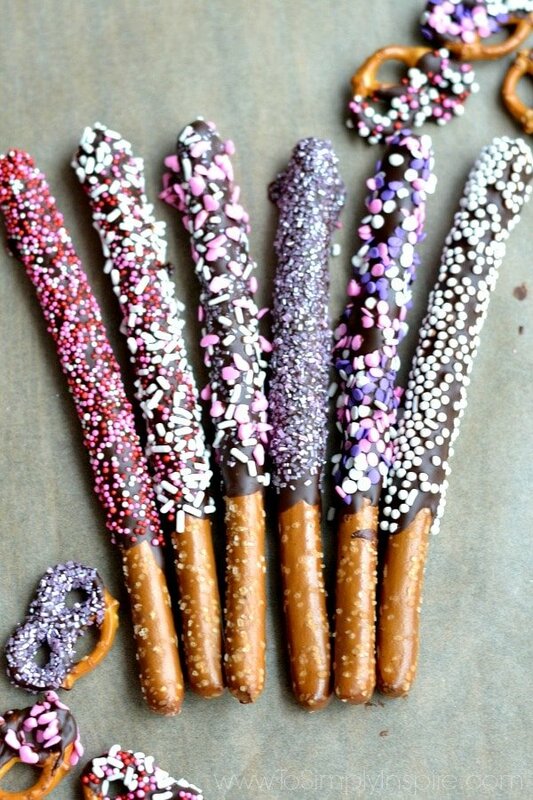 The Chocolate covered pretzels looks super delicious. Looking forward to more similar articles. Please keep the awesome recipes coming. 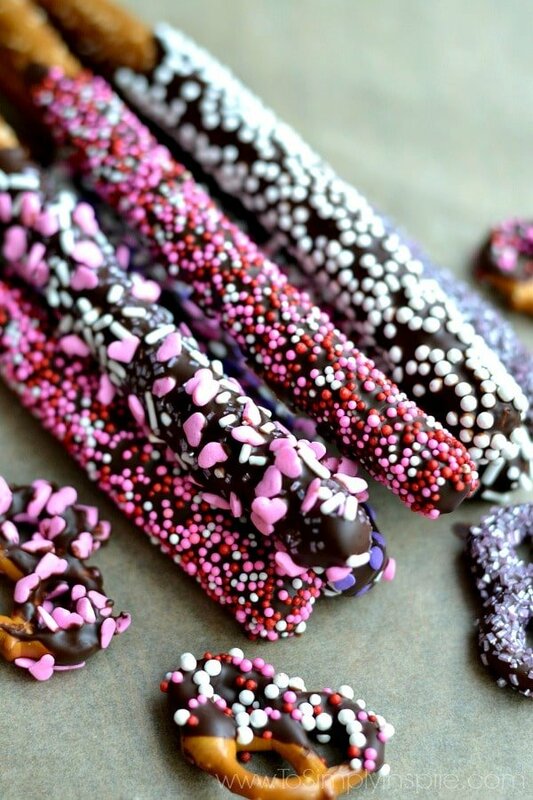 Great Pretzel treats! Happy Valentine Day and thanks so much for sharing your awesome talent with us at Full Plate Thursday! Looks so good. I want to grab some pretzels to dip. We just made chocolate dipped strawberries. Thanks for sharing at the Inspiration Spotlight Party. Pinned & shared. These are so pretty and I love how easy they are to make! Your Chocolate Covered Pretzels are perfect for Valentine’s Day, Sherri. Scheduled to pin and also to share on the Hearth and Soul Facebook page. Thank you for being a part of Hearth and Soul.